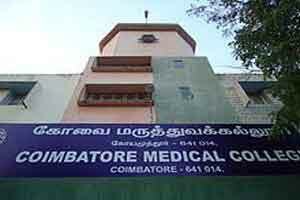 The Coimbatore Medical College Hospital will soon inaugurate its Regional Cancer Centre (RCC). This first of the kind facility in Western Tamil Nadu region is being set up at a cost of Rs 20 crore. While the inauguration will be done this month, it will be another six months for the facility to be operational. It has been further confirmed that the construction of the centre has been competed, and inauguration ceremony of the RCC is being planned along with the centenary building of the hospital. Head of the Surgical Oncology and Regional Cancer Center at CMCH A. Suresh Venkatachalam has implied that this new building will have 20 beds each for surgical oncology and medical oncology, and will further double the capacity of the oncology department to 80 beds. As reported by Hindu, Hospital dean A. Edwin Joe said that last year around 500 cancer patients were treated by the hospital and that the new building will help treat more patients with state of the art equipment. The oncology department in CMCH was started in the 1970. It started functioning with radio therapy. Cobalt therapy was introduced in 2004. Comprehensive cancer care was introduced in 2013. The RCC here was announced in 2012. Construction of the centre began in 2013.